Summary: Pandorum is not great sci-fi by any means, being a bit like The Descent in outer space, but somehow it works. 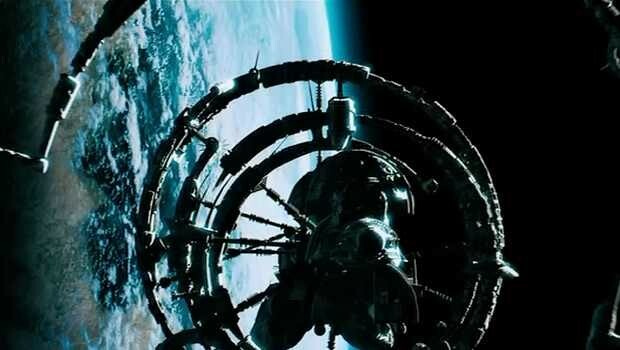 Pandorum, in case you were wondering, is a sort of deep space psychosis triggered, not unreasonably, by the idea that in space no-one can hear you scream. Its symptoms include hallucinations, trembling, nose bleeds, paranoia, murderous impulses and delusions of grandeur. In other words, you go nuts. Pandorum is not great sci-fi by any means, being a bit like The Descent in outer space, but somehow it works, managing to pull off two clever twists before the end. Filmed on gloomy and claustrophobic sets, the post-industrial design is familiar but effective. The premise is truly hi-concept and the script unravels slowly, revealing information little by little and taking you along for the ride. Pandorum is not likely to win over any sci-fi doubters, but its a nasty and effective little thriller, despite a less than stellar script (poor Dennis Quaid says little more than ‘come in Bower’ for the first twenty minutes), until the filmmakers make the mistake of trying to explain what’s going on. Unfortunately the explanation is full of holes, and anyway less than interesting.